Continuing to learn with each lap on the track, Wally Wilson scored a top-20 finish on Sunday at Sunset Speedway. Wilson started off the weekend by placing eighth in both of his qualifying heats. Qualifying 21st for the 40-lap feature, Wilson kept himself out of trouble while continuing to learn with each passing lap around the track. Although he got lapped, it was a successful outing with a solid 16th-place finish. 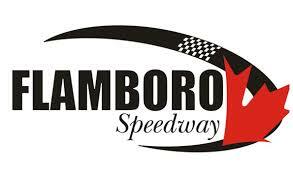 The next race for the OSCAAR Modifieds is at Flamboro Speedway on September 30 and October 1, as part of the track’s Frostoberfest weekend. Stay tuned to OSCAAR’s website (http://www.oscaar.ca) and Flamboro Speedway’s website (http://www.flamborospeedway.ca) for details surrounding the event.